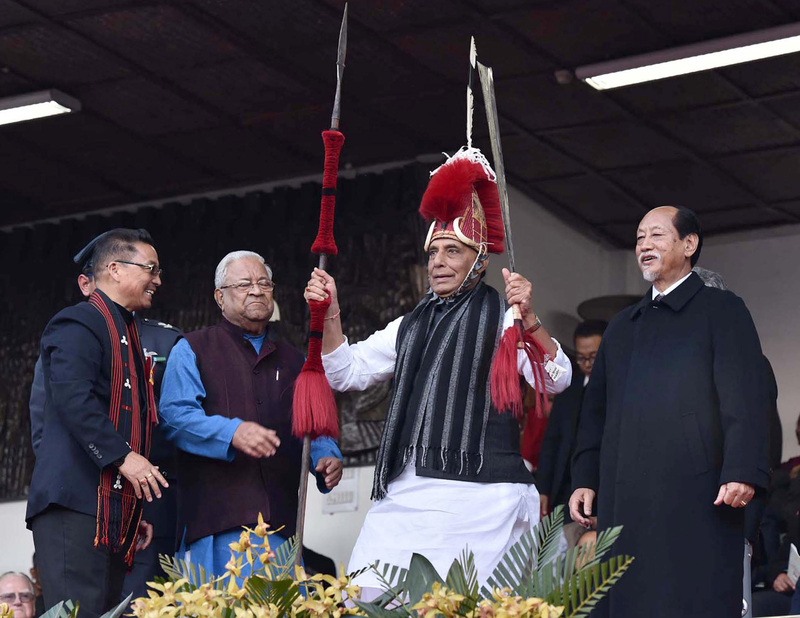 Today, Union Home Minister Shri Rajnath Singh attended the Hornbill Festival in Kisama Village, Kohima, Nagaland as chief guest. Speaking on this occasion he extended his greetings to the people of Nagaland. He commended the role of the State Government in raising Nagaland’s 15 India Reserve (Mahila ) Battalion and setting up of Women’s Police Stations in Kohima and Dimapur for empowering women. 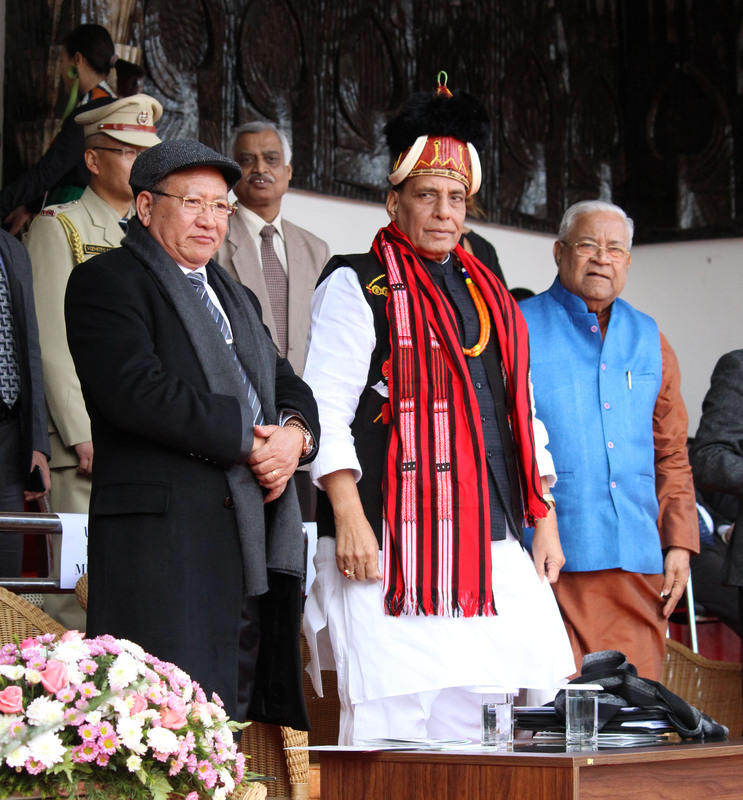 The Governor of Nagaland, Shri P.B.Acharya welcomed the Union Home Minister Shri Rajnath Singh on the 8th day of the Hornbill festival at Kisama village in Kohima, Nagaland today. The Chief Minister of Nagaland, Shri TR Zeliang gave the welcome speech. The programme was followed by cultural dances, games and folk songs from various troupes of Nagaland. Later in the afternoon, the Union Home Minister inaugurated Thapa Indoor Sports Complex and a Sainik Sammelan at Assam Rifles Campus Sukhovi, Dimapur. He was accompanied by Lt. General Shokin Chauhan, Director General, Assam Rifles. Speaking on the occasion, he said that the sacrifices of the Security personnel cannot be valued monetarily and that there is immense contribution of women cannot be undermined.